Positive & pressurized jets through washing needle for pressure cleaning at minimum usages for washing media. Sound design concept of pressure tank for reverses & continuous supply of washes Medias. Both internal & external washing ensuring absolutely & continuous ampoule / vial after sequential washing. Acrylic top cover for clear view of washing events taking place in the machine. On-line poly carbonates housing with P.P. replaceable filter cartridge of 5 micron of water for best possible washing. All contact parts of washing media are of S.S. 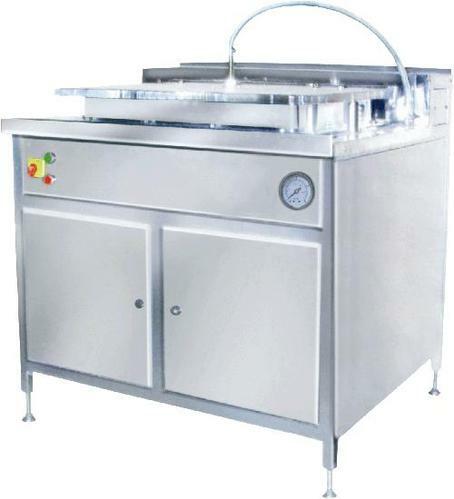 In the event of acrylic cover lifted during cycle operation, the machine will automatically stop and re-start from the point when cover is pushed down. 415 V, 3 -Phase with 4 Wire Systems. This is a standard sequence but it can be modified as per customer requirement.